(b. 1977) – Austrian philosopher, writer and essayist of Korean descent. The author of a dissertation on Georg Lukács’s The Theory of the Novel. 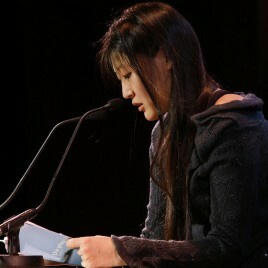 She has authored a dozen or so short stories, articles and poems published on the press. Her novel Anatomie einer Nacht (The Anatomy of a Night) saw print in Poland in 2014.